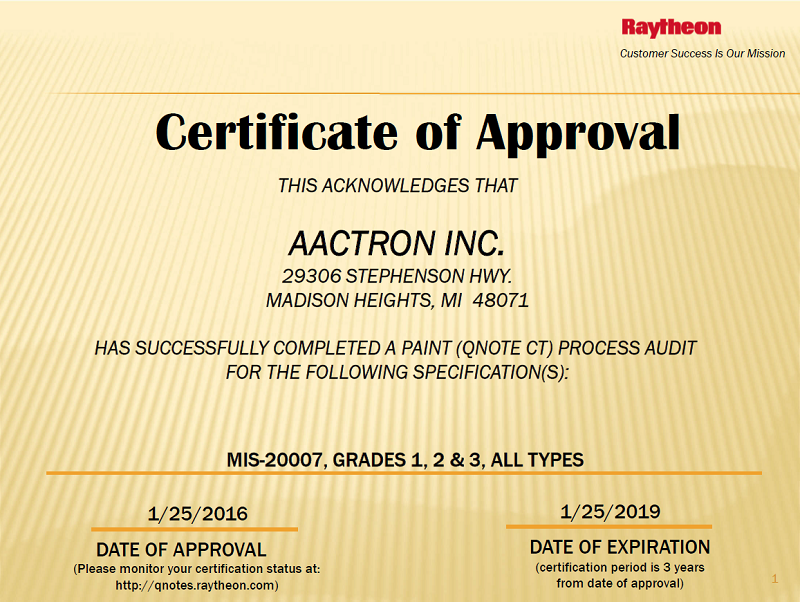 Aactron has successfully been re-approved to pretreat and paint for Raytheon Missile Systems to MIS-20007 specification. The approval is good thru 2019. For copies of this and other approvals please visit our website. 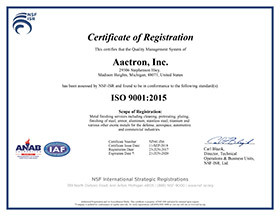 Aactron has held this approval for several years and is very proud to be part of the Raytheon supply base.